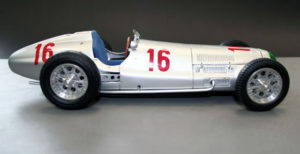 Mercedes-Benz w25 a rough start! It was the eve of the Great Eifel Race at the Nurburgring in June of 1934. The race teams were busy with entrance examinations for the newly formed 750kg racing formula. 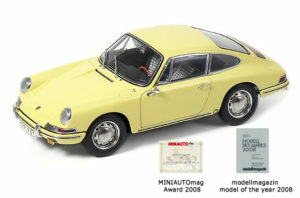 Any car entering the race was required to comply with these new rules and regulations and weigh in at 750kg or less. 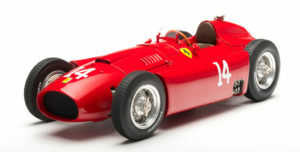 As the inspection began on the Mercedes-Benz W25 and it rolled onto the scale and audible GASP from the teams and onlookers filled the inspection area. 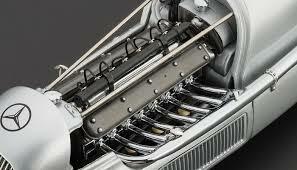 The Mercedes-Benz weighed in at 751kg. The Mercedes team had to find a fix to this problem and fast! By a pure stroke of genius, someone decided that this could be achieved by removing all the paint from this pearl white Mercedes-Benz W25. Working until dawn, with sand paper the Mercedes team was able to remove all of the paint. 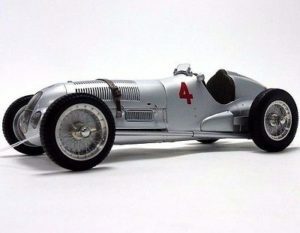 As the race was set to begin, a shining silver bodied Mercedes-Benz W25 took its place at the starting line. 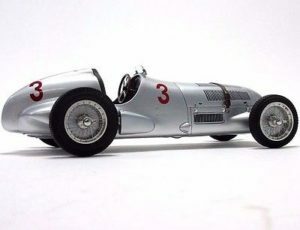 Not only did the Mercedes-Benz W25 make the race that day but it would go on to claim the victory on that fateful 3rd day of June 1934. 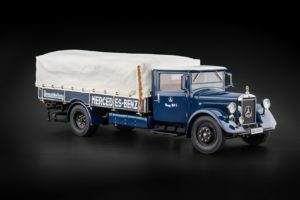 Newspapers all over the world reported on the Mercedes-Benz W25 and its strange road to victory. 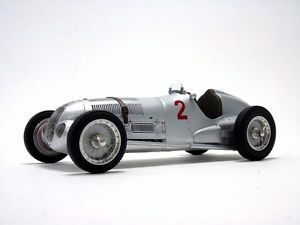 They began calling the Mercedes-Benz W25 the “Silver Arrow” The legend was born that day!